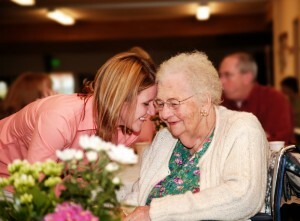 While we still don’t know the actual cause of Alzheimer’s disease early detection and treatment may slow the progress. At a conference I attended recently they recommended seeing a geriatric psychologist at the first sign of problems. Their tests seem to be the best at pin pointing what may be going on. Remember, not all dementia is Alzheimer’s, some may be suffering from depression or side effects of medications. Knowledge is power.